This one is special to me, because Seaweed was my dad. 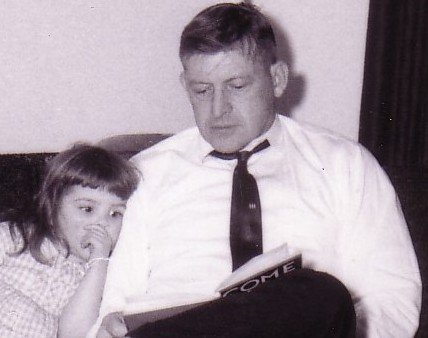 He taught me to love books. He had a hard time in life, and some of that is in the Goodie, but he also had a miraculous innocence about him that made everything possible. If you would like a copy of his Goodie, please send a donation using the paypal button on the Shop page here on this site and let me know that you would like a copy of his Goodie. If you don’t have any money but would like Seaweed’s Goodie, send me an email and I will send you one free of charge. Seaweed never had two nickels to rub together, but he loved to read and that’s how he was rich. If you would like to order Seaweed’s Goodie, please send $5 via paypal, using the button on the Shop page. That amount includes postage within the United States. From outside, please send me an email.